The current numbers of many species are declining at an unprecedented rate in many regions of Africa due a complex international dilemma with regard to use of wildlife products. 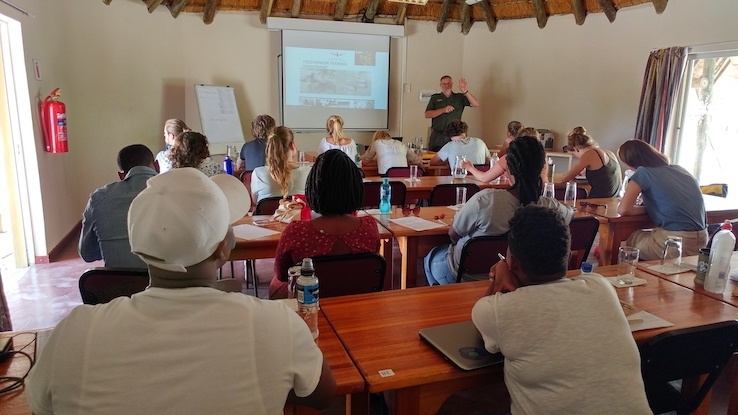 This class mainly focuses on the current Rhino crisis and the current interventions that has been implemented in an effort to curb the decline in Rhino populations in South Africa and Africa from a counter poaching paramilitary conservation viewpoint. This class is approximately +-1,5 hours in duration and conducted by Mr. Ruben de Kock or Mr. Clive van Rooyen.